In June 1992, the College for Financial Planning officially changed its name to the National Endowment for Financial Education. 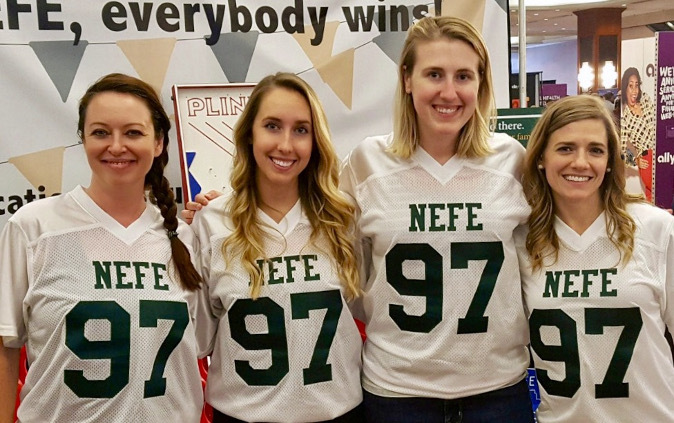 NEFE’s game-themed booth was a hit at the 2017 FinCon Financial Bloggers Conference in Dallas, where NEFE once again sponsored a session track and the annual community service project. This year’s project benefitted those affected by Hurricane Harvey. FinCon attendees wrote encouraging notes and helped assemble care packages of cleaning supplies that were distributed through Trusted World (www.trustedworld.org), an organization that connects donations to people in need. Several NEFE-funded research projects wrapped up or hit important milestones in 2017. Read the full executive summaries at www.nefe.org/research. 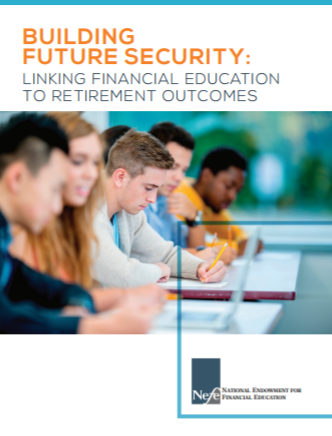 George Washington University – Data from an international survey of 15-year-olds find that American teens face a unique challenge when it comes to funding their future retirement. The United States is the only country to have both low financial literacy and a social pension program (e.g., Social Security) that covers less expenses in retirement. University of Notre Dame — Latinas have a huge appetite for financial education and a strong desire to save. Their savings could provide a critical safety net to America’s largest minority group. The New School — Almost no one is safe from periods of lost income due to a health crisis, job loss or other life transitions in their working years; and lower-income Americans are especially vulnerable. Ninety-three percent of low-income men don’t even have a 401(k). And those who do often need that money long before retirement. Next Avenue (www.nextavenue.org), public media’s first and only digital publication dedicated to covering issues for people 50 and older, named Brent Neiser, CFP®, NEFE’s senior director of strategic programs and alliances, one of its 50 influencers in aging for 2017. Neiser was selected for his work helping older Americans make sound financial decisions for their retirement. In July, the Consumer Financial Protection Bureau (CFPB) (www.consumerfinance.gov) also appointed Neiser to its Consumer Advisory Board as one of six new consumer experts from outside the federal government. NEFE President and CEO Ted Beck received the William E. Odom Visionary Leadership Award April 5 for his dedication to building a financially literate future for young Americans. Laura Levine, president and CEO of the Jump$tart Coalition for Personal Financial Literacy, presented the award. Beck was a member of the Jump$tart board of directors from 2005 to 2016, serving as chairman from 2011 through 2016. 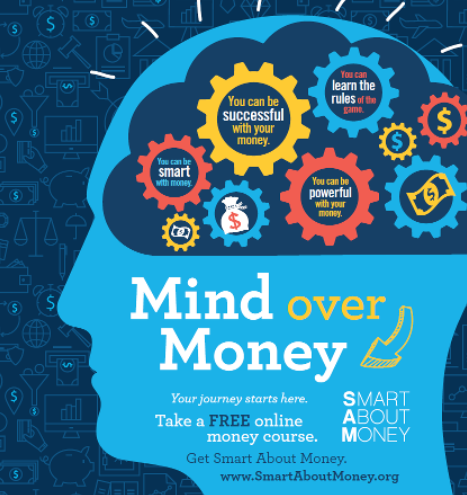 Smart About Money added two new courses to its collection of self-guided, free resources in 2017. Check out all the courses, including Money Basics, at www.smartaboutmoney.org. My Financial Well-Being Plan – Define your own financial well-being according to your personal values and circumstances. My Retirement Plan – Live the life envisioned in retirement. My Life Events and Transitions Plan – Manage a crisis now or prepare to face future challenges. NEFE partnered with the Consumer Financial Protection Bureau (CFPB) Communities Financial Education Libraries Project to reach librarians through several events nationwide throughout 2017. Smart About Money created a suite of marketing materials, including posters, handouts and bookmarks to help promote financial literacy in libraries. Check them out at www.smartaboutmoney.org/librarians. Smart About Money offered information about its free personal finance resources at Night Out Baltimore, held on the first Tuesday in August. The event is part of National Night Out, which started in 1984 and focuses on preventing crime through community activities. In April, NEFE and Financial Workshop Kits (www.financialworkshopkits.org) sponsored the first financial literacy strand at the Coalition on Adult Basic Education (COABE) Conference. COABE is a network of nearly 15,000 educators, administrators, mentors and guides working to improve educational outcomes for underserved adults. NEFE believes that, in addition to language, mathematics and problem-solving skills, adult learners need personal finance education. NEFE plans to continue this sponsorship in 2018. 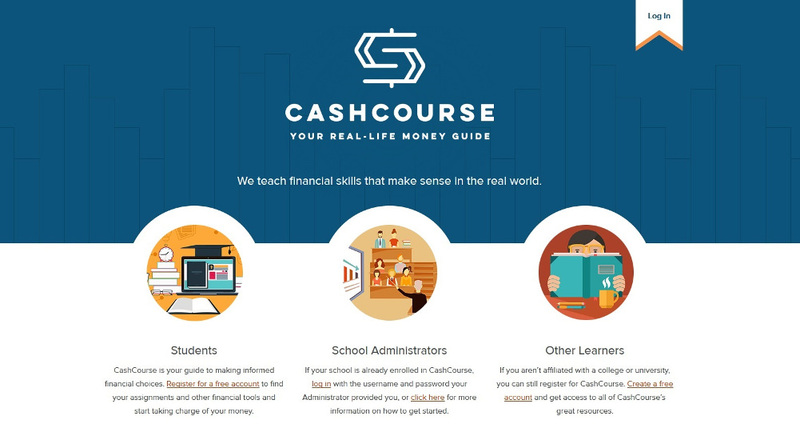 New website: The new CashCourse website launched on July 5 with a modern look, more mobile responsiveness, and new levels of accessibility for individuals who use assistive technologies such as screen readers. More than 8,000 new users registered for CashCourse in September alone, averaging more than eight minutes on the site. Iowa project: In spring 2017, Iowa State University, the University of Iowa and the University of Northern Iowa selected CashCourse to help provide required financial literacy training for all incoming first-year students. The program rolled out this fall, leading the way for other state university systems implementing financial literacy. Student survey: A student feedback survey by CashCourse this spring found that 85 percent of student respondents found CashCourse to be either somewhat helpful or very helpful and informative. Also, 79 percent of students said they felt somewhat confident or very confident in their ability to manage their money after using CashCourse. Many times students do not “get” the material that you teach until much later when it personally affects them. Just yesterday I ran into a former student who graduated in 2016. As a mother to a new baby, she now understands why it is important to “pay yourself first” and set aside money for emergencies. She also understands that you need to take care of your needs before your wants and not take on too much debt. She wanted me to talk to her significant other and help her explain this to him. She said everyone needs to take the NEFE course, then more young people would not get into financial trouble! Download the November/December 2017 PDF [3.3 MB].